The members of a sect in Tatarstan that kept their children confined in cramped, catacomb-like cells must undergo special treatment before they can be reunited with their children, Russian presidential children’s rights ombudsman Pavel Astakhov said. Law enforcement personnel found about two dozen children being kept in unsanitary, unventilated underground cells during an August 1 raid at the compound of the Faizrakhmanist sect in the Tatar capital Kazan. 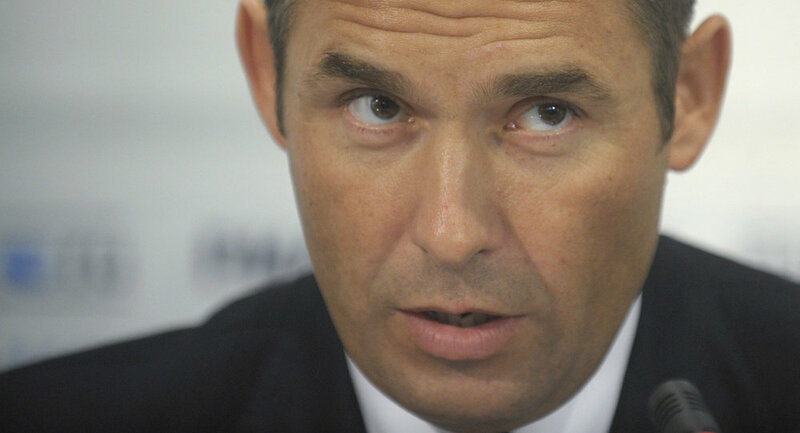 “Unfortunately the victims of the sect will need professional rehabilitation over a fairly long period,” Astakhov said, noting that the underage sect members have all been placed in orphanages. “The sect-member parents must first undergo treatment before they are reunited with the children,” he said. Faizrakhman Sattarov, 83, the leader of the unregistered religious organization, has been charged with “taking the law into his own hands,” assistant prosecutor Irina Petrova said. The parents of the children have been charged with neglecting their parental obligations. Sattarov, formerly a Muslim mufti, founded the sect in the 1970s. His followers lived in his home and in an eight-layer-deep honeycomb of windowless, unventilated cells they dug underneath it. There were about 70 adults living in the compound at the time of the police raid. Prosecutors are also filing documents to have the illegally built compound razed.